"Clear answers to my questions! Will be working with Wayne in the future." 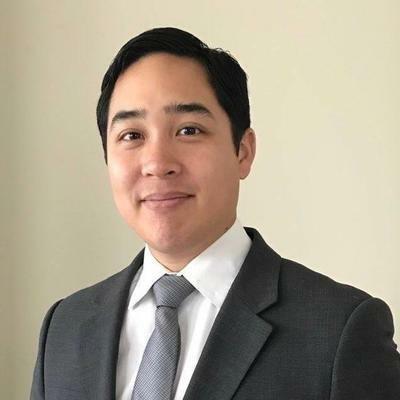 Wayne Nguyen, Esq., is a practicing attorney, working solely on immigration matters. He has extensive knowledge of both family-based and employer-based immigration. He has represented clients in complex removal/deportation proceedings, both before the immigration court and before the Board of Immigration Appeals, and has experience at the Circuit Court level. He has also represented clients seeking lawful status through USCIS and consulates abroad, many of whom were able to receive legal permanent resident status despite various inadmissibility issues. On the employer-based side, he has worked on H1B petitions, L visa petitions, EB visa… read more petitions, the PERM process, etc. "Wayne was very helpful and knowledgeable. He answered all my questions and concerns. I will definitely stay in touch should any further legal issues arise. Thank you, Wayne." "Awesome attorney. I'd hire him again. Very knowledgeable." "Direct, explains clearly, and very efficient"
"Wayne is extremely responsive. He also answered a bunch of my questions before I decided to engage him. Our case is not done yet so the outcome is TBD, but so far I've been happy with Wayne's service. His price is reasonable too relative to some of the other attorneys on Upcounsel." "Wayne was a great attorney to work with. He told me what documents were needed, helped me get them translated when I didn't have translations, and made everything a painless process overall." Responsible for managing approximately 150 cases, ranging in complexity from simple naturalization/adjustment of status applications to involved deportation defense and employment-based immigration matters.